We have seen numerous leaks about Apple's rumored 7.85" tablet, most of which suggest a launch in Q4 of this year. While everyone (me included) has repeatedly referred to this device as the "iPad Mini", we still have no word on what the device will be branded as. This may pose an interesting dilemma for Apple. Apple essentially has two choices here. It could position the device as a low end iPad (iPad Mini) or position it as a high end iPod (iPod Touch XL). The branding decision would obviously have no impact on usage patterns as iPad/tablet usage significantly differs from iPod/portable media player usage - You won't find joggers with a 7 inch tablet strapped to their chest just because it's called an "iPod Touch XL". But the two branding choices could have a considerable impact in sales patterns. Let's take a look at the impact each branding choice could have. Positioning the device as a low end iPad has quite a few benefits. 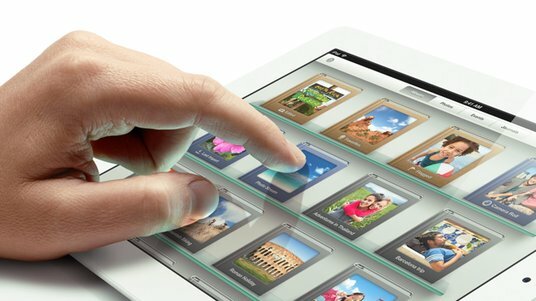 The iPad is currently the strongest brand in the tablet market and has the greatest recall among potential tablet buyers. The launch of an iPad Mini brand would be a direct offensive against the threat posed by the Nexus 7 and the Kindle Fire. The competition here would be for expanding the market and about who would get to a potential first-time buyer first. However, since the iPad mini would be priced higher than its major competitors, Apple would have to hope that the iPad brand is strong enough to sway price-sensitive customers. Branding the device as an iPad mini has a few downsides as well. One small concern is that it could be seen in the market as a low end device (compared to the traditional iPad) and could affect Apple's perception as a premium manufacturer. But the bigger concern is that it could cannibalize sales of high-end iPad models. Apple already seems to be facing a challenge here as the $399 iPad 2 has cannibalized sales of the new iPad. Any further reduction in ASPs could pose a threat to revenue growth. Positioning the device as a high-end iPod would play to Apple's primary strength - marketing "premium" products. In addition to this, the branding strategy could allow Apple to use its favorite marketing buzzwords - "revolutionary", "innovative", etc. Since the "iPad" brand is far stronger than the "iPod" brand, it could keep "status" & "brand conscious" buyers from purchasing the lower end product, thereby reducing the impact of cannibalization. However, there could be some major downsides to this strategy. The branding strategy would most likely be independent of the BOM and hence, the pricing strategy of the product. Therefore, first time tablet buyers may be debating between a $199 Nexus 7 or Kindle Fire 2 and a $299 iPod XL. This means the brand downgrade could reduce the pool of potential buyers, even though it reduces cannibalization. At the end of the day, this would be a defensive move, aimed at making sure that potential iPad buyers don't buy a lower priced product. Conclusion - As we have seen, both branding strategies have their pros and cons. The iPad Mini brand is a long-term play aimed at market expansion, while the iPod Touch brand is a short-term play aimed at minimizing cannibalization. At the end of the day, cannibalization is a better outcome than lost sales, so the iPad Mini branding strategy may be Apple's best bet. Credit: The idea for this post is from one of my readers, David Anderson. Thanks David. I think Apple would be better off naming it the iPad mini. I think it will do well in the market, because they can compete with the Kindle Fire and Nexus in that aspect. I know I would love a mini iPad and I will be the first to buy one. It would be nice to have a smaller tablet to read my emails, read, and take with me when I am traveling. The kids use my current iPad all the time to watch TV with the Dish Remote Access app, and it is so hard for them to hold the iPad for a long period of time. They watch all their favorite shows live on there whenever we are traveling and I want to be able to have a smaller one for them to easily hold. A co-worker at Dish told me about the rumor and I think it is a great idea for them to make one. You're right about that, it should be announced in Q4 by all indications. In terms of capabilities, being an iPad, it should be able to be competitive against the Kindle Fire and Nexus 7. The only question is the pricing aspect. It all comes down to how much more a consumer would pay for an iPad Mini vs. those two products. and ipad mini it became!